AdWords (PPC) management is becoming more challenging, particularly over the past several months with the dramatic increase in search volume for mobile searches. Desktop searches are declining and that's a big problem for some advertisers. Competition is heating up. The good news is we can help. "I wholeheartedly recommend Webrageous for all your pay per click advertising." "Business is great. I can't say enough about their creativity and how they are able to drive business to our resort"
"Webrageous has made a tremendous difference in our pay per click campaigns." We manage Complex Accounts including Stopping Click Fraud and declining profitability from PPC. More than half of all searches are now performed on a mobile device. On a mobile device there are typically a small number of paid ads above the fold. The mobile transition can be your firm’s biggest problem or your biggest opportunity! Our team is here at your service to help you make the transition effortlessly. 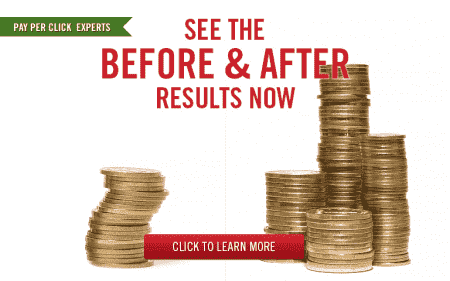 Our approach is paying big dividends for our AdWords clients. We were recently on a call with our representative from a very large firm that sells PPC ads. Since mobile is working great for our clients we asked how we can push mobile harder. They were shocked as most of their clients were asking how to spend less on mobile. Mobile is the future and our strategies are working great for our clients. us more than three years. over five years experience in PPC.